Right in the convenience of your own home, we shampoo your Oriental rug with our special Oriental rug shampoo. We then triple rinse the entire rug with cold clean water, and dry. Moisture will never go through the rug to your floor. 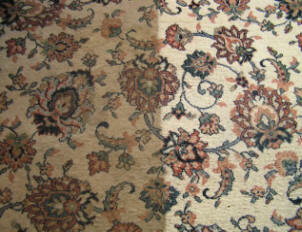 Your precious rug will look and smell like the first time it was placed into your home.